You will learn new skills while helping others. You will become a part of Our Mission to support Wilmington communities by providing access to bicycling as a healthy, affordable and practical means of transportation and recreation! You will also receive discounts on repair classes and the purchase of new parts to maintain your own bicycle! Shop Volunteer: A shop volunteer is someone that has an interest in bicycles and bicycle repair but might not be ready or willing to be a full-on Shop Mechanic. You’ll assist in a number of valuable tasks at the shop including processing donated bikes, helping shop visitors pick out a used bike, patching inner tubes, stripping un-salvageable bikes of their usable parts, and sorting and maintaining our selection of used parts. As you master these tasks your bicycle repair knowledge will grow and you’ll have the opportunity to learn new skills from UBP mechanics. 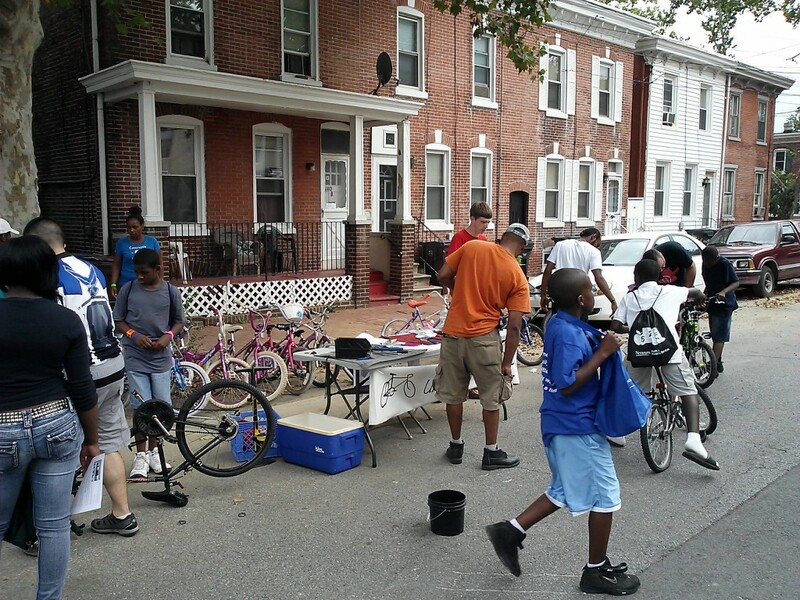 Our Youth-Only Open Shop program incorporates bicycle mechanics skills training, fitness/rides, and community service projects outside of the shop. Volunteers will mentor youth, lead rides, teach bicycle repair lessons, and participate in or lead community service projects. No training in bicycle repair is required, just a desire to learn and help our youth participants learn. Special requirement: Youth volunteers are subject to a background check. Donation Pickups: Pick up bikes donated by individuals in New Castle County that cannot get to the shop themselves. Scheduling is flexible, you will be in contact with the individuals to arrange the pick ups when it is convenient for you. Community Events: Urban Bike Project is often invited to attend community events such as the Wilmington Grand Prix, Safe Kids Day, and Hagley Bike & Hike. Volunteers help give information out about UBP and bicycle safety, do bike checkups, run bike valet parking, setup our hands-on learning display, or whatever the event may call for. Special Projects: Several times throughout the year UBP works on special projects in the shop. 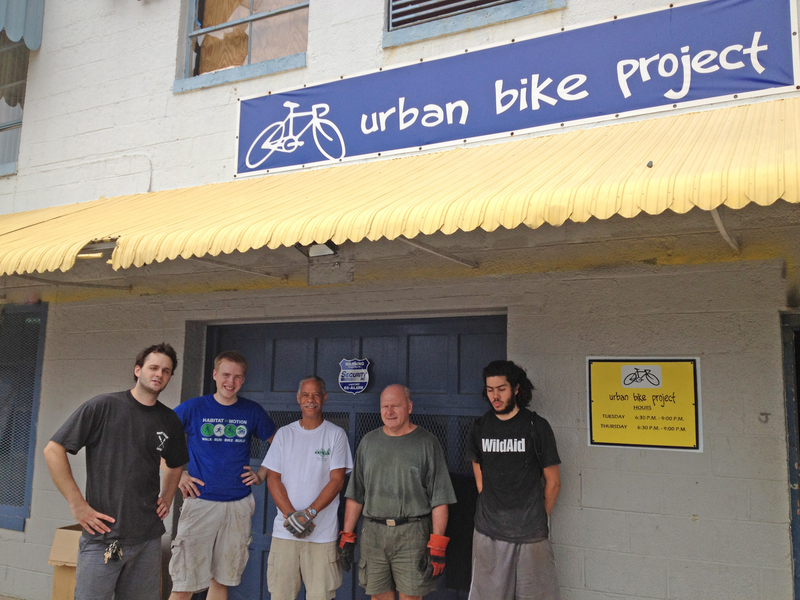 Past projects have included shop improvements like painting or construction, preparing a large volume of un-salvageable bikes for recycling, refurbishing bikes for the Free Bike Program, and clean-up and reorganizing projects. Workplace/Employee/School Volunteering: Does your workplace offer employee volunteer days? Does your school offer group volunteering options for students? UBP can arrange special volunteering opportunities for area businesses, schools, and organizations. Please contact us to learn more. A hardworking crew reorganized our storage area, no small task! Corry, Jim and Jack volunteering at a Southbridge Community Event.